For the past 2 ½ years I’ve been lucky to be a part-time Stay-At-Home-Dad (SAHD). On a daily basis it’s afforded me the pleasure of interacting both with those who whine and cry all day, as well as toddlers. I’ve spent a surprising amount of time doing things that I never could have imagined just a few years ago. Like watching the same 3 Pixar movies over and over. And over and over. And that’s just in one day. The reality is that being a SAHD is a gift. I get to spend quality time with my Little Dude and not worry about the stains on my shirts while out in public, which strangers (usually incorrectly) assume were caused by him. During a recent viewing of Cars, I started thinking about some of the unique characteristics of SAHDs and came up with this short list. 1) You own what you refer to as your "good" sweatpants. 2) You know about all of the "kids eat free" deals at nearby restaurants and exchange birthday cards with the manager at your local IHOP. 3) Sometimes you want to go where everybody knows your name and that place is MyGym. 4) You like taking your kids to story time at the library so you can get caught up on 5 games of Words With Friends while they listen to a librarian read 5 books about talking elephants. 5) Your most recent Facebook status update was "jklljhhhhlppnnn". 6) You used to know the names and statistics of all your favorite athletes. 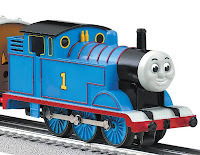 Now you know the names and numbers of Thomas the Train and his friends. 7) Your Breaking Bad episodes have accidentally been deleted from your TiVo to make room for additional episodes of Super Why. 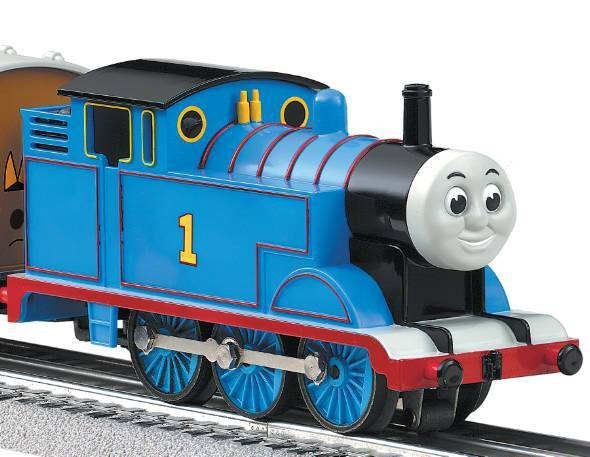 8) You are more than a little freaked out by your kid’s seemingly innocuous toys after repeated viewings of Toy Story. 9) The backseat of your car contains more Cheerios than the General Mills factory. 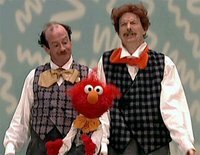 10) You think Sesame Street jumped the shark when Mr. Noodle's brother Mr. Noodle joined the cast. 11) You can justify why dunking your head in the sink and some strategically placed baby powder are just as good as a real shower. 12) You have plenty of time to finish writing a list like this. At 1:30am. What unique traits do you associate with SAHDs and SAHMs? I've not been a SAHD for long, and I'm only doing it 5 and a bit out of the 7 days a week but I've cultivated some lovely wounds (mostly from the Munchkin's razor like nails) and some incredibly baggy bags under my eyes. I say bags, I actually mean suitcases. I know what you mean. Biiiig suitcases. The key is napping whenever you can. And a good set of earplugs. "I get to spend quality time with my Little Dude and not worry about the stains on my shirts while out in public, which strangers (usually incorrectly) assume were caused by him." I put a jumper on inside out while trying to stop the kids killing each other and getting them out for school in the morning. Then brought the youngest to a P&T group. Only noticed the error when I was taking the jumper off after the baby sicked up over it. you had me at jumped the shark....and Mr. Noodle. As a WAHM I too have a lax attitude about my appearance. My husband likes to tease me that it's a special occasion when I put on a bra - (I always wear a bra). I see the other SAHM's at school and they have their fancy little work out clothes on and there I am in my WAH uniform (sweats - not always the nice ones). I'm sure people look at each other as I pass and think: "When do you just give up and loose all self respect?" Number 1 made me laugh out loud. Glad it's not just me. What a hilarious post! I've just read this out loud to my hubby as he wanted to know what an earth I was laughing at! Love number 5 - that's me all the time. New follower here via TGIF blog hop. So funny! The things we primary parents have in common are almost always the same, and always sadly hysterical. Love you sense of humor, Dude. Spoken like a true stay-at-home parent. My kids are all in school now. It's enjoyable to have them home, but dude, the school bus is the BEST!! Hang on man, you will play WWF again!! Enjoy your posts. This was so funny I almost peed in my pants. My boys are 15 and 8. Do you think I could have still blamed them? Great post, really appreciate that everyone suffers the same challenges.